some time ago, i read americanah by chimamanda adichie, and it blew my mind. the protagonist's take on racism in america was so sharp and awesome. also, the novel opened up nigeria to me. i have previously read nothing but 'things fall apart' (for a class, it doesn't count) from the african continent, and i know so very little about it. not only did americanah let me see a country and people that i was ignorant of, but it also showed me the common humanity that we share --and this is what i love about literature. when i read a book about people in different places, in different situations, speaking different languages, and yet i can still relate to them, i continue thinking of their stories after closing the book; that is just so enthralling, liberating, awakening! i was so in awe of adichie that i recently finished her half of a yellow sun as well. and now i want more. i am suddenly hooked on nigeria and africa, the way i am with japan (haruki murakami, david mitchell). fiction from south asia holds a different level of interest for me, given that i am far more familiar with the places, culture and language. seeing that many of my favourite authors, and those that i read a lot of, are not white (khaled hosseini, kamila shamsie, tan twan eng, isabelle allende, lisa see, mohammed hanif, kiran desai), and given my interest in world literature, diversity and cross cultural experiences, i was a little startled to read about the difficulties faced by authors of color. it comes as no surprise really, but it was just something that i had not thought about. while reading up on this issue, i came across authors i had not heard of: aimee phan, bill cheng, nnedi okarofor and many others. so, i think i need to spend more time reading authors of color. but opening myself up to a variety of female perspectives made me more aware of the female lives around me … Feminism, as bell hooks pointed out, is for everyone. And when we become more aware of the small injustices and tiny everyday tragedies around us, we become better people. Reading women’s voices helped me to hear them more loudly in my daily life. 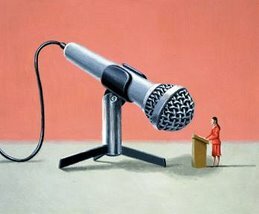 Our culture is getting better and better at encouraging women to speak, but it’s not doing enough to listen to what they say when they do. i am excited to read different voices and stories, as well as play a tiny role in increasing their audience and publicity. recommendations are more than welcome. [UPDATE] so, it is not all that easy to find these diverse books on kindle, or even in bookstores here. sigh. i am not giving up though..